Recess Monkey presents Wired -- Duct Tape meets 2" Recording Tape! Fifteen eclectic songs about creativity, inventions, machines and electricity; inspired by "make" kids who like to do it themselves. Produced by John Vanderslice at San Francisco's famed Tiny Telephone studios, it's a unique blend of vintage hifi, homespun DIY and kid-driven energy. Recess Monkey is the nationally acclaimed trio of Seattle teachers who rock for the whole family, praised by NPR, Time, People, USA Today and in high rotation on SiriusXM's Kids Place Live. 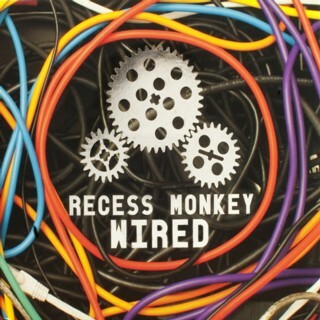 Chock-full of contagiously catchy hooks, pitch-perfect kid-driven lyrics and a slightly audacious wackiness, Wired showcases Recess Monkey as the renowned Kindie innovators that they've become.